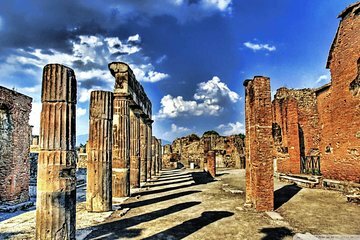 History comes alive on this family friendly tour of Pompeii. This tour is designed to be engaging for young participants with lots of storytelling and fun trivia to hold everyone’s interest. The ruins of Pompeii are full of the fascinating history. Learn about the people who lived there before they and the city met their tragic end when the volcano Vesuvius exploded.